Greetings, Stampers! It's time for another challenge at Seize the Sketch, and this week the amazing Lori Tecler has a sketch for us. I think I love it! You must see how the rest of the DT interpreted the sketch, too. They are all so incredibly talented! I'm using some new goodies for the first time, including a new-to-me stamp set, Polka Dot Pieces. I've always wanted this set and was so happy to see it carry over into the new SU Annual Catalog. 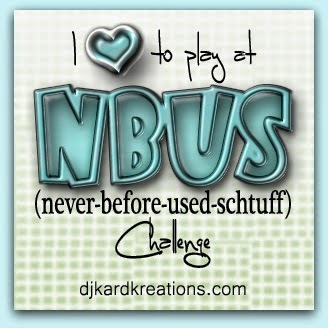 My friend, the sweet and hilarious Darnell Knauss, is celebrating 500 followers and her very first challenge, NBUS1. You go, Darnell! The challenge is to use Never Before Used "Schtuff" with a friendship theme in your project. What fun! So, what I'm using for the first time is my Polka Dot Pieces stamp set, Hello Honey paper and ink, and Mossy Meadow ink. I hope to play along again and dust off something ancient and NBU! 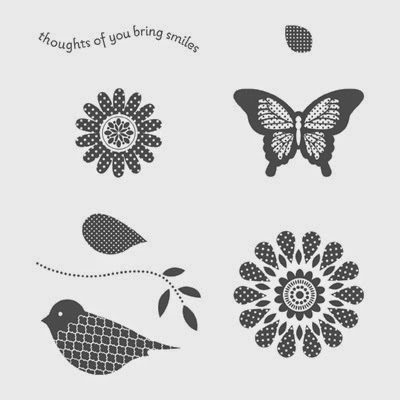 Each of the flower layers were cut out with punches (listed below) and separated with Dimensionals. Super easy! 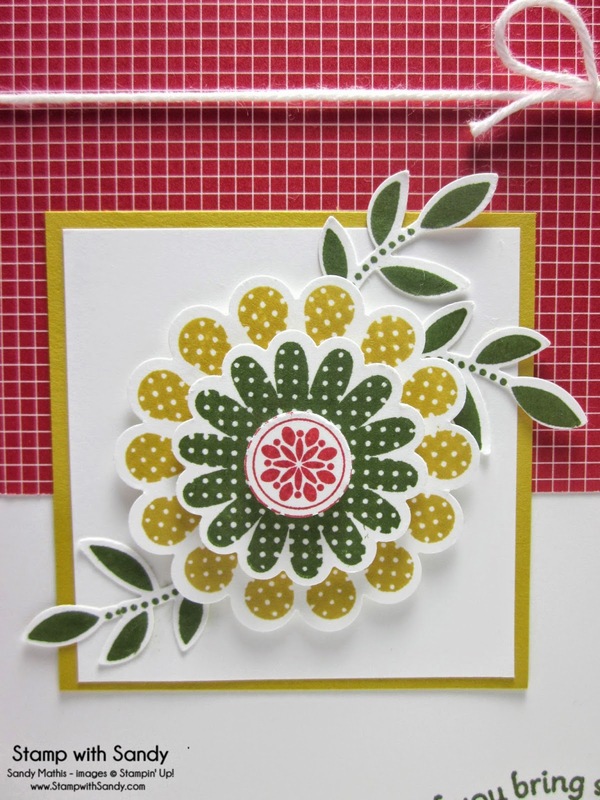 I love the two new In-Colors, Hello Honey and Mossy Meadow, combined with Real Red. The matching envie... Are you getting tired of seeing my envelopes? I just want to remind you (and me) to give them some inky love, too! Please play along with us this week at Seize the Sketch! Stop by and say hello to the rest of our awesome Design Team, too! This is very sweet, Sandy! I have wanted this set too....STILL don't have it! I love what you did with it! I didn't realize the NBUS challenge was from Darnell....that's bound to be a hoot and a hit!!! I'll have to play along! Sandy I love the clean look of your design, just beautiful! Darnell is a sweetheart, and I couldn't be happier for her. 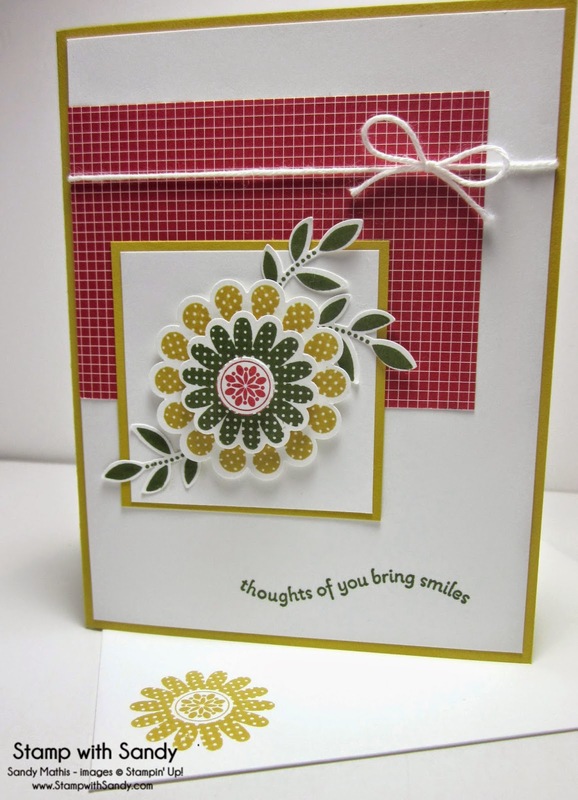 Love the texture and patterns your stamping has - looks great! Thanks for letting me know Darnell is having a challenge - love her! Pretty cards! I like the colors that you used! Sandy this is terrifically fresh and fun! I love the patterns on the paper and the stamped images. What a great way to add "texture!" No, I never get tired of seeing you add the envie flare, Sandy! I am, however, rather bruised about the right side of my head, because every time I see one, I reach up and smack myself! So pretty! 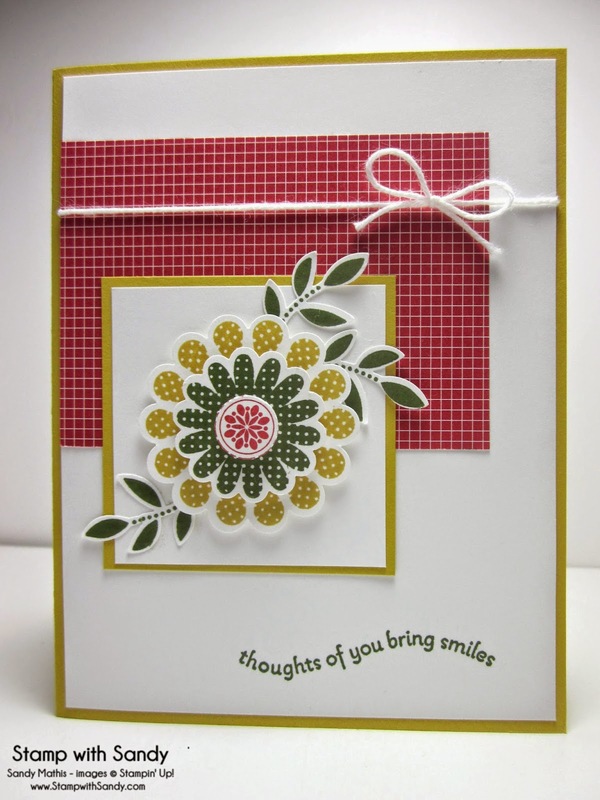 Love the fun layered flower. Excellent interpretation of the sketch. love the textures and color. The flower is awesome. I hadn't looked twice at this stamp set until now! I love how you used this set and these colors together! I fee a CASE coming on! 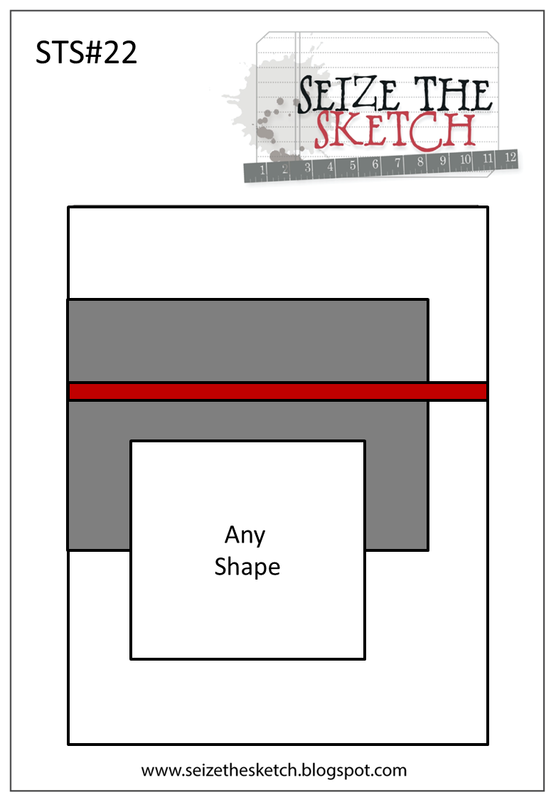 Your card is so crisp and clean and fits the sketch perfectly. I think its so pleasing on the eye - its going to be a touching gesture for a lucky someone, for sure!